Chad Michael Murray, One Tree Hill alum and pretty much every girl's teenage crush, is so excited to be a father that he stood up former Buffalo Bills Quarterback Jim Kelly. That's right, the avid Bills fan tweeted on Sunday night that he was passing up a night with his sports hero for the very best reason: Murray and Sarah Roemer had a baby son. It is the only reason he would miss the Kelly for Kids event, the 33-year-old says, one he attends every year. In his tweet, the actor says that he had to miss it because he had been given the greatest gift: a son. Um, yeah. Having a baby is a totally valid excuse, Lucas Scott! The actor and Roemer, his wife, announced the pregnancy in January, just shortly after Murray was spotted wearing a silver wedding band. Murray and Roemer met while filming the television series Chosen, and secretly wed just before announcing their pregnancy. At the time, Murray's rep told Us Weekly in an exclusive statement that "Chad and Sarah are extremely happy and excited, and enjoying their life together." Even One Tree Hill fans who mourned the fact that Murray was off the market couldn't help but be happy for him. After a rocky marriage to co-star Sophia Bush in 2005 (and a divorce after five months), Murray's tweet hints at a more stable relationship between he and Roemer. He's even rooting for her football team. If that doesn't bode well for their happily ever after, I don't know what would. Before he tweeted his own excitement over becoming a father, Murray gushed about the new role in Bello magazine: "It's the greatest thing in the whole world. I'm going to sit back and enjoy this new chapter." And no one would blame him for it. 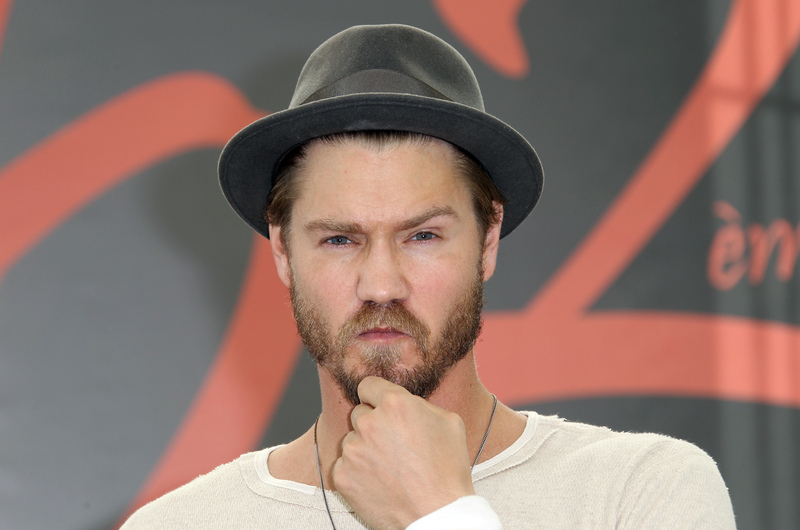 If sitting back and enjoying this new chapter means missing a charity event, then you do that, Chad Michael Murray. You might be the biggest Buffalo Bills fan, but spending the night at home with your new family makes you an even better dad. I'm sure that your beautiful wife, and what is sure to be your blonde, brooding son, totally appreciate it.